How is it possible that a people who have experienced poverty, famine and discrimination, outlasted efforts at cultural annihilation and suffered the indignities of occupation can manage to celebrate life in song and dance with a passion and joy that belies everyday reality? Music for Okinawans is, perhaps, an alternative reality, one that is no less authentic than the roar of fighter jets over residential districts, or the sense of entitlement that characterizes Tokyo and Washington’s dealings with these southern islands. Like the swallowtail butterflies that flutter above the razor wire surrounding the U.S. base camps, Okinawans have learned to coexist with menace without being ensnared by it. There is something hopeful, even redemptive, about cultures on the peripheries. 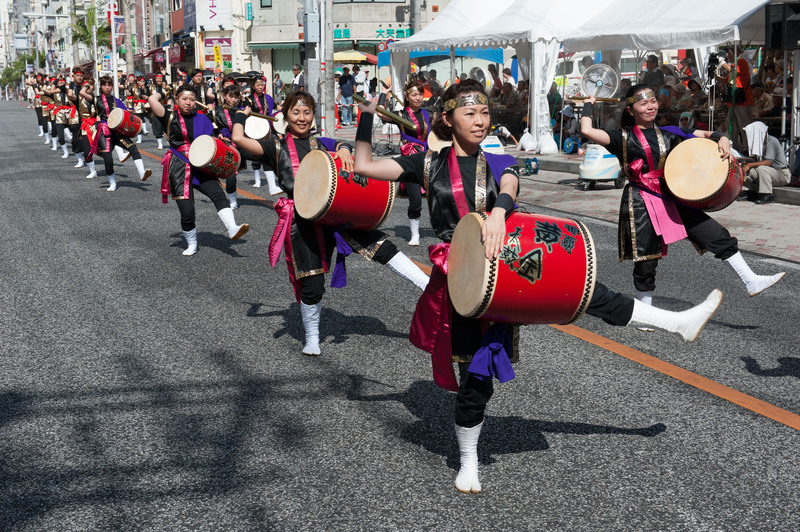 While pitying Okinawans their relentless suffering, we envy them for the beauty of their culture, the profound spirituality that pervades their daily lives and the abiding presence of their music. The so-called Okinawa boom of the 1990s sprang from a felicitous conjunction of interest among young Japanese in the culture, food, nature and lifestyles of Asia, and releases by a vanguard of musicians and groups — prominent among them the Rinken Band, Shokichi Kina and Champloose, and Nenes — who have helped to popularize the Okinawa sound in mainland Japan and bring it into the ranks of world music. 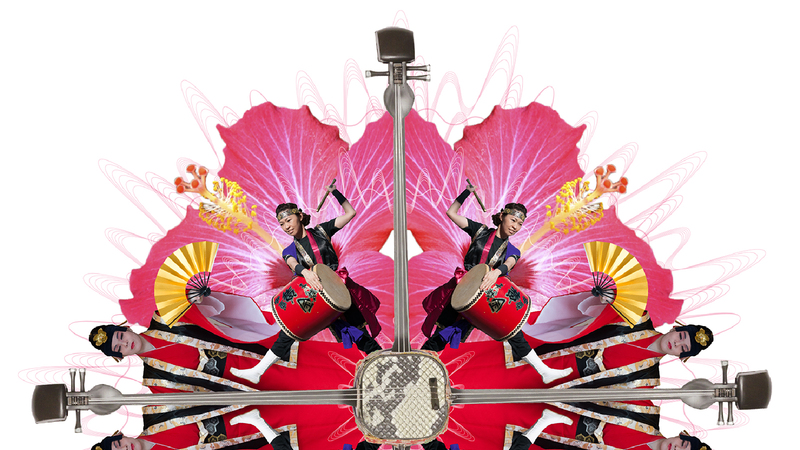 The fusion of traditional Okinawan instruments such as the three-stringed sanshin, samba (a type of castanet) and percussive instruments such as shima-daiko (island drums) and handheld paranku drums with electric guitars, synthesizers, violins and saxophones, has resulted in a lively champuru, or blend, of rock, jazz and reggae elements played with great verve, but underpinned by distinctly Okinawan rhythms, tints and flavors. Incorporating tradition into new forms, the question of which music is authentic, which creolized, tends to dissolve in each performance. Musicians have evolved from fusion to collaboration, with several successful musical experiments involving well-known foreign musicians such as Ry Cooder, Bob Brozman, Jiang Jian Hua and Irish fiddler Nollaig Casey. A fine example of this tendency is a CD by American jazz pianist Geoffrey Keezer, who teamed up to make a highly original album with Yasukatsu Oshima, a respected singer, sanshin player and arranger. Resistance music in Okinawa devolved from older generations of performers with their own period grievances. The folk song “Mayagwa” (“Little Cat”), for example, mocks a government official’s visit from the court in Shuri, while the experiences of the Battle of Okinawa find expression in a number of songs. Many compositions call for the preservation of Okinawan identity in the face of efforts at cultural assimilation from mainland Japan. Others are specific in highlighting violence against Okinawans, occupation, and the land grabs associated with the presence of U.S. and Japanese military forces throughout the islands. Shokichi Kina, much preoccupied with minority rights, environmental issues, world peace, and questions of identity, felt compelled to write the song “Shojo no Namida ni Niji ga Kakaru Made” (“Until a Rainbow Appears Around a Young Girl’s Tears”) after three U.S. Marines abducted and raped a 12-year-old Okinawan girl in September 1995. Daiku Tetsuhiro’s reworking of a protest song from the 1950s, “Okinawa o Kaese” (“Return Okinawa”), is interesting in its telling inversion of title. The original song called for a return of the islands, then under U.S. occupation, to Japanese rule. 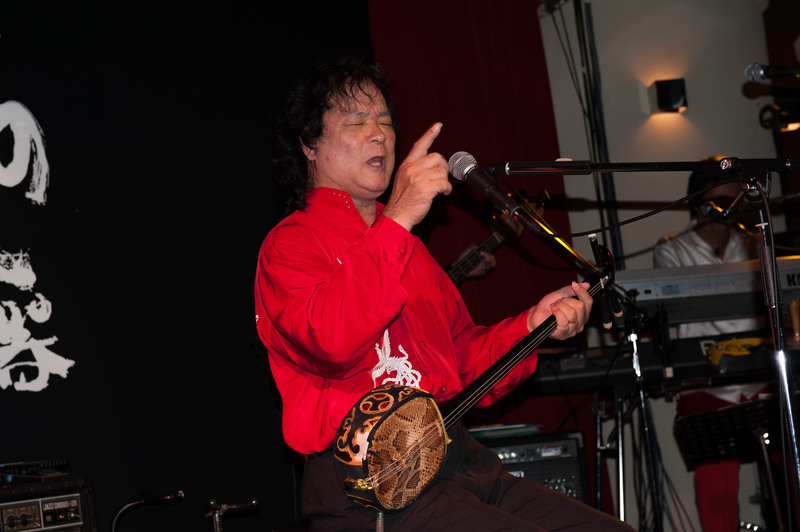 The line “Return Okinawa to Japan” was changed by Daiku in his 1994 version, to “Okinawa e Kaese” — “Return Okinawa to Okinawans.” Such sentiments are echoed in the compositions of other Okinawan musicians like the late Seijin Noborikawa, known for his dexterity with the sanshin and his anti-war songs. The song also reflects an optimism stemming from an assertion of unassailable Okinawan identity. Music as self-differentiation, of course, does not have to be political. For the mainland audiences that cram into the small clubs along Kokusai-dori, Naha’s main shopping and entertainment drag, the music is an adjunct to the “exotic” and “ethnic” appeal of the islands. The performers, who know exactly how to please the crowds, are complicit in creating floorshows that provide an entertaining digest of Okinawan music, one inevitably climaxing in members of the audience rising to their feet to take part in the orchestrated abandon of the katcharsee, a traditional celebratory dance. 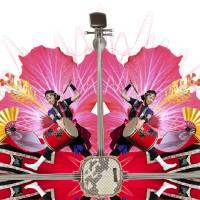 Being from Okinawa is not necessarily synonymous with playing Okinawan music. You would be hard pressed to identify any Okinawan themes in the music of Kiroro, a female duo, or contemporary bands such as Orange Range, the punk outfit Mongol800 or pop icon Amuro Namie. There are several artists who don’t appear to fit into the Okinawan music scene, but are nonetheless, a part of it, like the young poet and rapper Akiko Urasaki, better known as Awich. When you hear that she famously left her Tokyo record label because they wouldn’t allow her lyrics to touch on politics, the Okinawa connection suddenly crystalizes. Okinawa is proving to be an interesting testing ground for hybridity, multiculturalism and community bonding. In the final scene of the 1999 Okinawan film, “Nabbie no Koi,” the cast, joined by villagers, dance the katcharsee, representing the cycles of life. The film features a number of towering figures in the local music world, including the late Rinsho Kadekaru and Misako Oshiro, regarded by many as the foremost living female singer in Okinawa. Oshiro’s club, Shima Umui, tucked into a basement in the earthy Higashimachi district of Naha, could not be more removed from the music venues of Kokusai-dori (International Street). Inevitably, one gravitates back to the animated vulgarity of Kokusai-dori’s glittery clubs and live houses. So it was that I found myself once again at a table in Chakra, Shokichi Kina’s musical nerve center, listening to his band run through a familiar set of favorites that included “Hana,” a song that must be known to almost everyone in Asia. 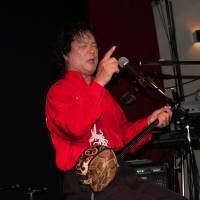 Kina took the opportunity between songs to give pep talks on Okinawan politics, urging his message of peace, universal values and Okinawan rights. In a place as immensely complex as this, everything seems just a little simpler when musicians pick up their instruments. Along the narrow lanes at the periphery of Naha’s great Makeshi Market, snatches of Spanish and Portuguese are heard from food and clothing vendors, who turn out to be of Okinawan ancestry, but to hail from such distant places as Uruguay, Brazil, Argentina and Bolivia. Many Okinawans had little choice but to emigrate to South America, Hawaii, and Japanese occupied territories at the end of the 19th century, a diaspora that continued until after World War II. At the edge of the market, I stumble across a photo exhibition on the Okinawan experience in South America. Someone had just come in and recognized their long lost uncle in an old sepia-tinted image. More than 300,000 Okinawans and their descendants now live abroad. 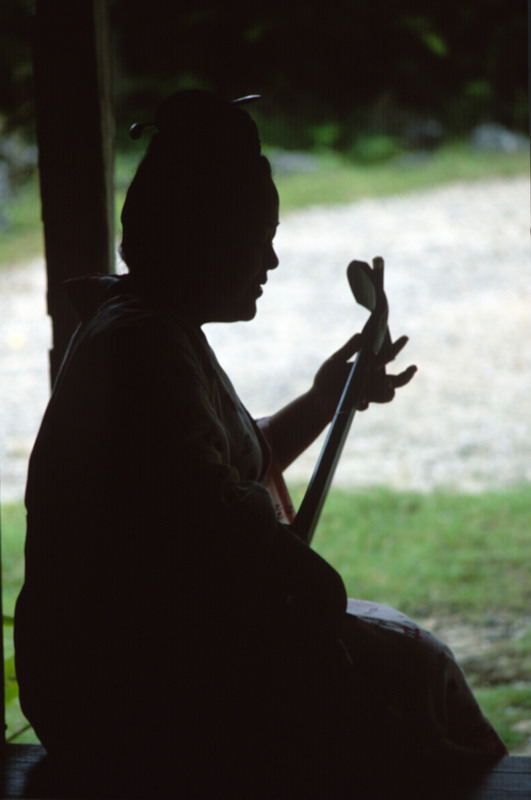 Okinawan ancestry was never forgotten or relinquished by immigrants, the continuity of ties maintained through ritual, memory and the transmission of music and song. In the Okinawan repertoire there are narratives concerning displacement, exile and return. In songs such as “Nanyo Ko-uta” (“The South Seas”), “Ikawu” (“I’m Leaving”) and “Imin” (“Emigration”), we sense the mixture of sorrow and optimism, of severance and opportunity at departing from the homeland. When people are unable to return because of age or infirmity, younger members of the family act as proxies, emissaries reuniting the ancestors with their homeland. 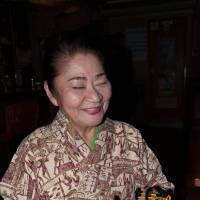 Such is the case with Lucy Nagamine, a Peruvian singer and sanshin player of Okinawan descent, who has lived in these islands for the past 20 years. Her relatives, with no Spanish skills, were fortunate to be spared the grueling labor of the sugar cane and fruit plantations, by setting themselves up as small merchants, empresarios serving the daily needs of the Okinawan community living in Lima. 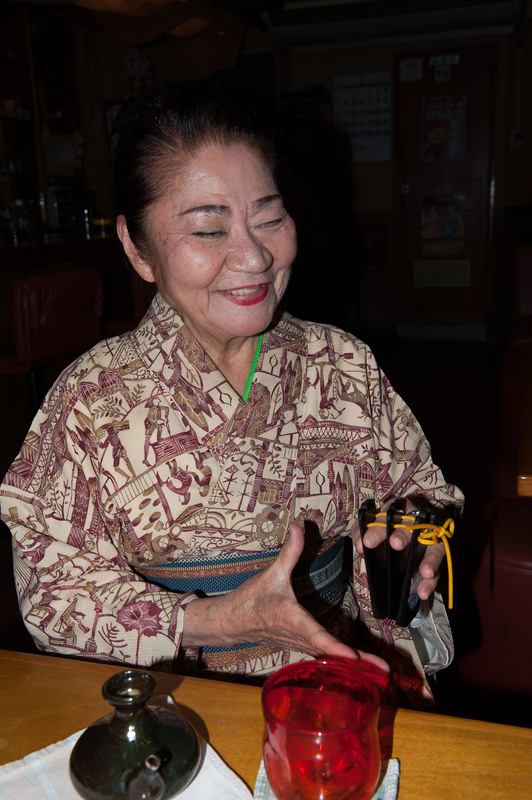 Marveling at the absence of discrimination in her ancestral home, Nagamine describes Okinawans as a warm people, with second and third generation nisei and sansei embraced as the returning offspring of the immigrant diffusion. Arriving in Japan to take part in a singing concourse in Mie Prefecture, Nagamine won the first prize, inspiring her to stay in Japan. Growing up in Peru, she had learned Uchinaguchi, the Okinawan language, but did not speak or understand Japanese. Enjoying the creative atmosphere of working with other Okinawan musicians in the studio, she has recorded three albums to date. The first, “Ninufabushi” (“North Star”), concerns filial love, the bonds that connect people. The last track is a version of the first song she learned from her Peruvian aunt when she was 10 years old. Her last album, “Hiyamikachi,” which means something like “Get back on your feet,” is a collection of upbeat, eminently danceable pieces. The songs in Japanese and Uchinaguchi are interspersed by lyrics that she has translated into Spanish. These classic Okinawan pieces have been well received, not only in her native Peru, but also by Okinawan audiences. Even well-respected recording artists, however, are obliged on occasion to perform in quite modest venues in Okinawa. Led to a table at Syurei Soba, a popular lunchtime restaurant in Akamine, a downtown district of Naha, I note that most of the diners appear to be families. When Nagamine and guitarist, singer and collaborator Nao Nishimata, begin their set, the clamor of voices drops for a moment before resuming. Tables are served, orders bellowed out, dishes and trays clattered. The audience can be said to be appreciative but preoccupied. Half the infants in the audience are spellbound by the music; the other half, scream their heads off. These are the conditions under which many musicians gamely perform. Nagamine’s set is well worth listening to. For someone who is so soft-spoken and self-effacing in person, she sings with surprising power and authority. The duo proceed through a two-hour repertoire of songs of heart-rending beauty, though there are also lighter pieces, like the popular “Haisai Ojisan,” whose lyrics evoke Naha’s sleazy red light district of Nakajima. 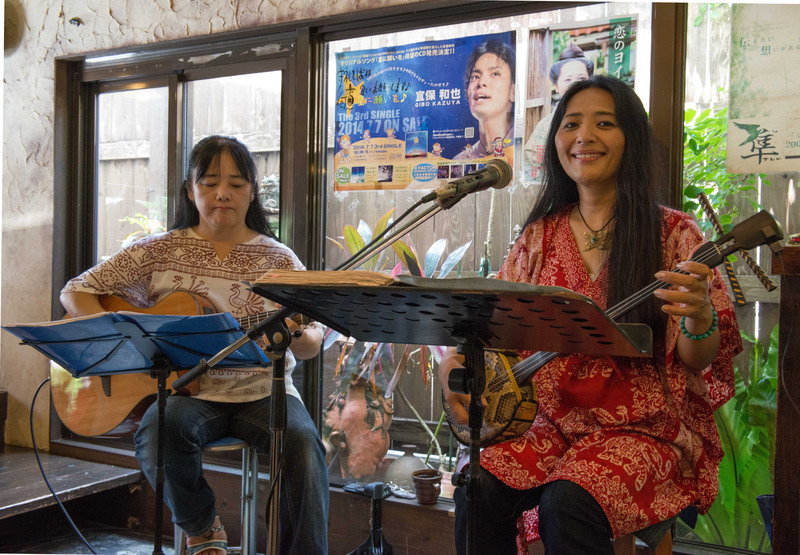 For some people in the audience, the music simply represents an analogous background to being Okinawan; for others, of a more serious incline, the songs are the soundboard on which they define themselves as Okinawans. 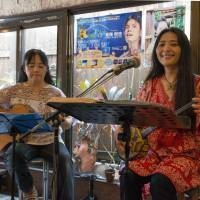 It is not clear whether the pair are struggling artists, but few Okinawan musicians are wealthy. Fortunately, they have a brisk working schedule. Performing in the restaurant four times a week, there are also club gigs and festivals in Okinawa as well as Tokyo, Osaka and other parts of mainland Japan. They also host a weekly music program on FM Uruma. Nagamine’s existence as an artist proves the point that music transcends time, space and distance better, perhaps, than any of the performing arts. 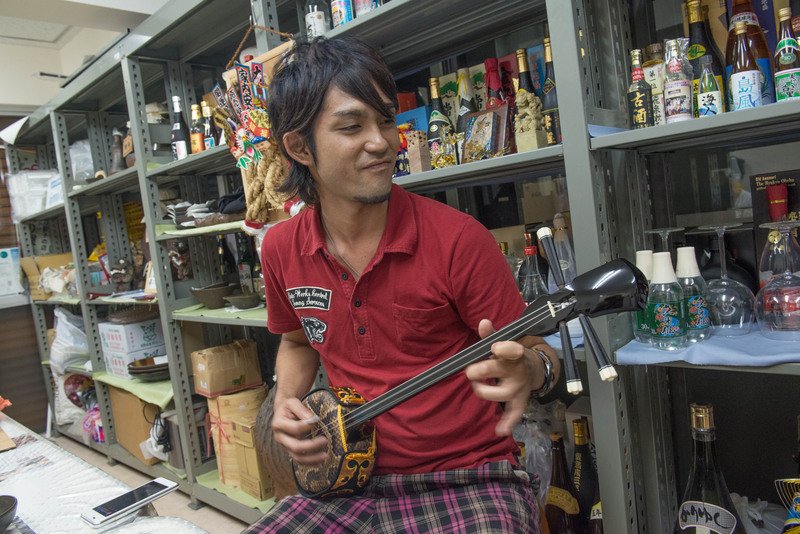 Music and identity are seldom as closely related as they are in Okinawa. Nagamine may not be an immigrant or exile per se, but, in her work and person, she embodies the return to the homeland of memory, family attachments and the songs of childhood.